From the Canyon Edge: Introducing the byobu.co website! 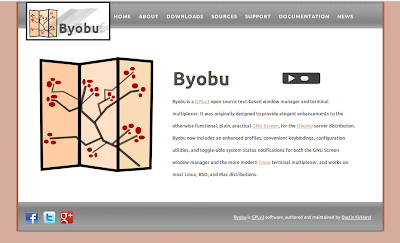 But at this time, I'm delighted to introduce the new Byobu community website at byobu.co. The layout is loosely based on the same template as our eCryptfs.org site. And likewise, here, you'll find all the usual links in an open source project website. As usual, feedback and suggestions are welcome.